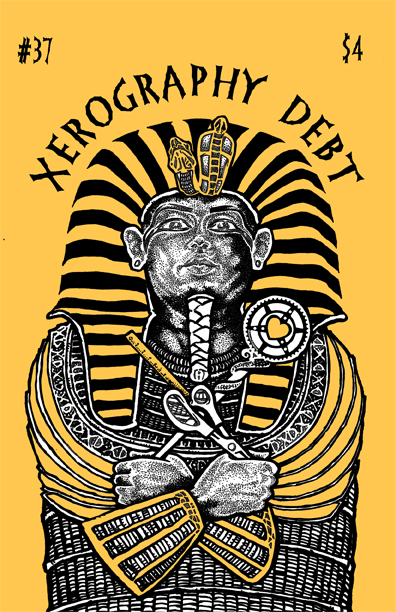 Way, way back when we were partying like it was 1999 (because it was actually 1999), XEROGRAPHY DEBT was formed. There were two main influences – 1) several review zines were recently defunct or going on hiatus (e.g. F5, AMUSING YOURSELF TO DEATH, and ZINE WORLD) and 2) I wanted to encourage and support a community I called home. The whole point of the first issue was to say, "Here are a bunch of zines I like, I hope you like them too." Then others decided to join me with the same message and the zine grew organically. I decided early on that XD would not run bad/mean/snarky reviews. That decision has been oddly controversial at times. I remember reading bad reviews in other zines - most notably ZINE WORLD - and thinking, "Wow, I wonder how many people were deterred from writing and/or left zines all together because of a scathing review?" Behind the scenes I have reviewers return zines to me because they simply hate them. I know it is shocking to hear, but there are dreadful zines out there. I'll then send the zine back out a second time to another reviewer. If that person passes as well, the zine simply isn't reviewed. Time and resources are limited and giving space to bad reviews costs money. 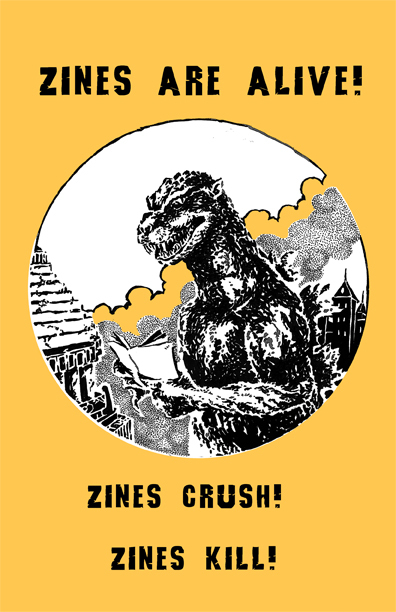 I also don't want to see people afraid to send their zines in for review, especially people new to zines. This zine is something of a safe space for first issues. I have refused to run reviews that feel dismissive. I've also worked with reviewers to determine if their review is critical or hurtful. That all said, I think criticism is very valuable - I know it helps me as a writer, editor, and photographer. In some ways I think we reviewers could be more critical, but the intent is always to provide support and encouragement. As readers and reviewees, I hope you understand that as well. So to address the occasional criticism aimed at XD - we don't just blindly provide "good" reviews - we're here to support a community and foster its members. If your zine is reviewed, you earned that ink. Keep up the good work!